The mysterious moonstone is the stone of the mother moon. It reflects the feminine and soothing energy of the moon. The moonstone brings balance, calm and peace back to our lives, with its high energy rays of purple, gold, and blue colors. Humans have very strong connection with the moon from the beginning. Moon creates the tides and rhythms of Mother Earth and affects our emotions, spirituality, and behavior. Moonstone has been used for centuries in a variety of cultures. It has always been a traditional wedding gift in India, and it was believed as a cure of sleeplessness in Europe. Moonstone is also known for being a protective stone, as it is enveloped in a shimmering white energy. It is prized for its moon-like sheen. Its delicate beauty makes it the most familiar quality member of the Feldspar group. Its soft, watery opaqueness and silvery-white reflection moves across the stone’s surface as light varies. Rainbow Moonstone help bring light into your mental and spiritual life. It acts as a prism and diffuses energy throughout your aura. Rainbow moonstone has a very strong connection to the spiritual world. It’s the ideal stone to get connection with your emotions. Thanks to rainbow colors, this stone has more joyful and energetic vibration than other classic moonstones. Its nurturing energy will give you comfort and guidance in difficult times. White Moonstone indicates the energy of the full moon at the height of its power. It stimulates psychic powers and enhances vision. White Moonstone magnifies emotions, activates the kundalini energy and opens the inner eye for women. Its energy helps men reach emotional balance and develop their receptive power. Grey Moonstone helps you make contact with your spirit guides. It expands your spiritual vision while giving you the ability to focus on your life path. 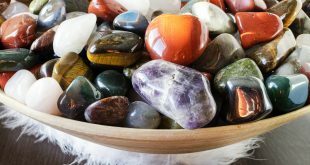 This stone facilitates visualization, meditation and visual psychic healing. 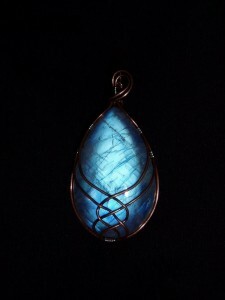 Blue Moonstone is an ideal gift for a loved one who is uncertain in the relationship. It also will keep the traveler on the correct and safe path to his ultimate destination. Peach Moonstone energy supports the heart as it stimulates the mind. 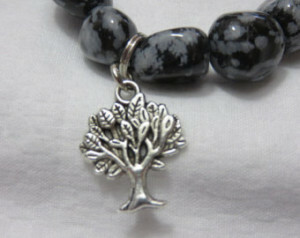 This stone allows you to see Divine’s positive and loving existence in all situations. It will soothe anxiety and assist in celebrating the positive experiences in your life.